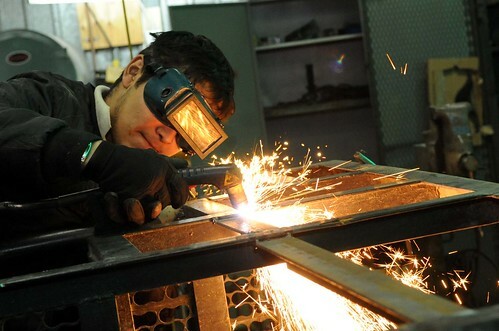 When starting out a Welding workshop, a lot of people do not have the capital required to purchase brand new welding equipments, so they are forced to settle for used equipments. This is a very good decision, instead of waiting for such time when you will have capital to purchase brand new machines which may not be anytime soon, a welding workshop can be set up using used equipments. Used welding equipments are sometimes a better option and can last as much as the equipment was bought in a good working condition, maintained well and serviced on regular basis. Welding machines come in two categories; TIG welding machines and MIG welding machine. This article will mention some major tips to look out for when buying used welding equipments. CONSIDER THE KIND OF EQUIPMENTS TO BUY: This is the first thing to put into consideration. What kind of welding jobs do you intend handling, heavy duty metals or smaller metal welding. It is also important to consider the function of the equipments. Multi functioning equipments can be tiresome to handle and maintain and should be avoid unless you find a bargain. This will help you decide the types of equipments to buy for your welding workshop. BRAND OF THE EQUIPMENT: This is an important factor to bear in mind when choosing a used welding equipment to buy, There are many manufacturers of welding equipments such as Lincoln, Esab, Hobart and many other companies. You have to decide which of the companies you wish to purchase your products from. Remember to always go for the well known biggest manufacturers. This will allow best support and the availability of replacement parts and service. ONLINE DEALS: With the use of the internet for online shopping, used welding equipments in good conditions can found in websites such as: eBay, Craigslist. Even if you don’t find the equipment of your choice,there are lots of welding workshop owners around who are looking for buyers for their used equipments. You can use Google to find any of such welding companies located around your location. ALWAYS CHECK OUT THE EQUIPMENTS BEFORE YOU PURCHASE: Since the equipment you are purchasing has been used by someone else, it is advisable you check out and even test the equipment to make sure that it has only been fairly used. A badly used equipment is nothing but a bad investment, because the machine will not function well enough and it will not last long. Ensure that each used equipment comes with a warranty that gives you the right to return it if it breaks down before a certain period of time. NEGOTIATE FOR A GOOD BARGAIN PRIZE: Remember to negotiate with the seller to make sure you buy the machines at the cheapest possible price and if you are ordering from an online store, look out for discount coupons for further discounts. Remember buying new is not always the best option. Search around and it is very possible there is a neighbor or Do it Yourself weekend warrior that only used the welding machine a couple of times and wants to get it out of their garage almost for free.